1) It is very practical. If you are about to go for NYSC or you’re already in your it, Frances gives very practical tips on how you can make a difference during your NYSC year. She gives examples of things graduates can do to improve their skills and give back to the society. We think that’s awesome. 3) It will help you to develop a culture of savings. Have trouble saving money? Do you believe you can only save when you have a huge income? Well, Frances shows you a practical way of saving even when you earn little. Corps members get a stipend of N19,800 and it is wrongly believed that it is impossible to save anything from this money. In this book, you’ll find a guide that will help you consistently save a percentage of your allawee every month which will end up being a huge amount (going into thousands of Naira) at the end of your service year. 4) You’ll get real advice about what you can do to make a difference. Some people pay lip service to the idea of touching lives. They tell you to do it but they don’t show you how. This not the case with Frances. 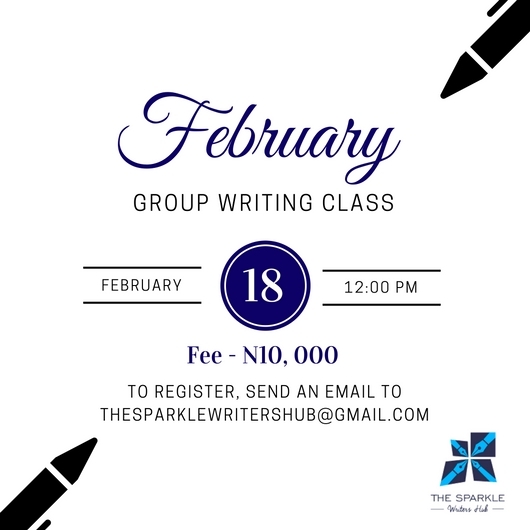 She tells you different projects you can do, how to get funding for those projects and she even includes a sample sponsorship letter which you just need to tweak to suit your personal project. 5) The book is very easy to read. Did we tell you that Frances is an outstanding writer? Yes, we did. Not only is this book easy to ready, it is also easy to understand. Just about 54 pages, once you pick up the book, you’ll keep going right until the end. Every page is laced with valuable words of wisdom and you can always refer to a particular idea discussed long after you have finished reading the book. 6) Frances knows what she’s talking about. Out of all the reasons we’ve given; this, perhaps, is the most important one. Frances knows what she is talking about. She is not giving you abstract advice. Everything she writes about in the book, Frances has practiced. She successfully saved N70,000 from her allawee, she started a personal business, she held seminars in schools, she released two books and had a successful book launch; all in one year! If Frances can do it, you can do it too. Don’t waste any more time; order your copy of ‘Making a Difference with Your NYSC Year’ right now on Amazon Kindle, Okada Books or using PayPal. 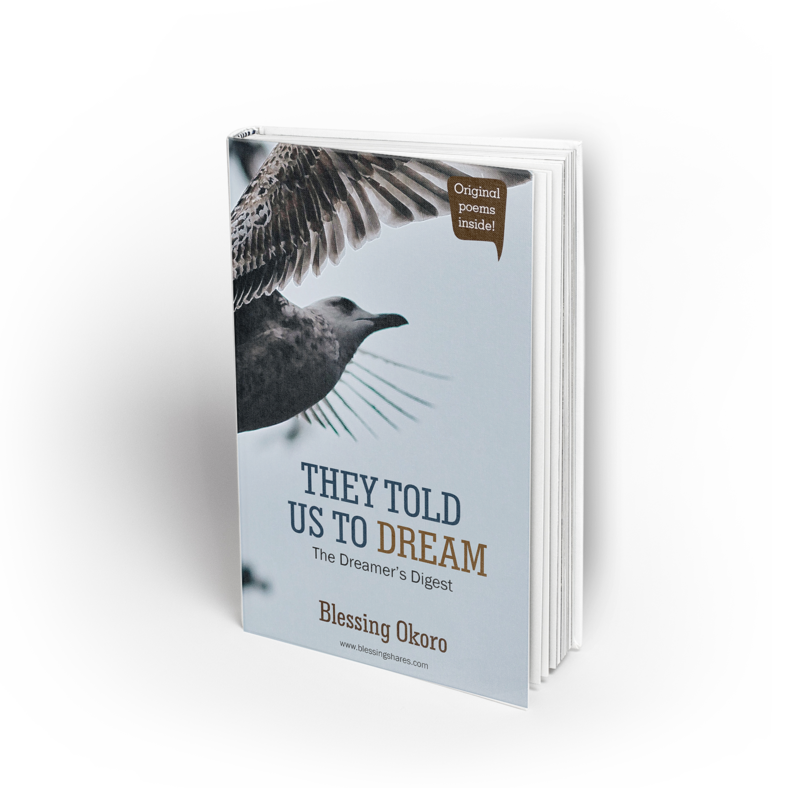 Copies of the book can also be purchased from The Oasis, 3 Keystone Bank Crescent, Off Adeyemo Alakija Street Lagos. For further information or orders, call 07035539092 for further information or for orders. 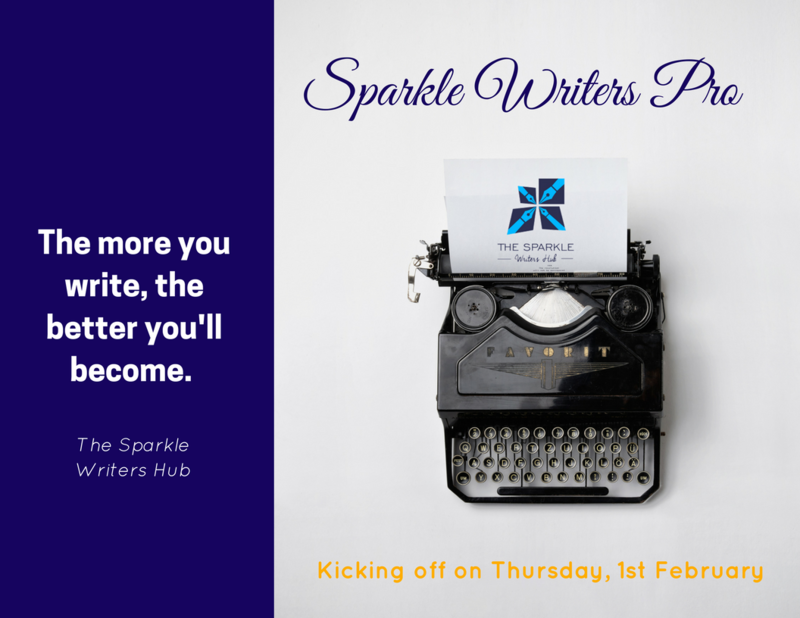 Hey Sparkle Writers! We hope you had a great weekend. We have an important topic to discuss with you. That topic is fear. We know you love to write or you have always dreamed of being a writer but something is stopping you. You sugarcoat it and say you don’t have time. You may even say you do not have the talent for writing. Deep down however, if you are truthful to yourself, you are just scared – scared that your words may not be good enough, scared that no one will be interested in what you have to write. That’s the plain truth. You will not be a perfect writer. You will not always get it right all the times. You will make mistakes. Accept that fact but take the plunge anyway. The more you write, the better you will become and you will be able to define your message clearly. So stop telling yourself that you are not a good writer. You can be if you are ready to put in the work. Are you afraid that no one will read what you write? Well, we can tell you right now that not everyone will be interested in what you write. You cannot satisfy everyone with your writing. Some people will hate your work, others will criticise it. Yet, there are people who will love your writing. Write for these people. They are your target readers. You are worried that you haven’t yet mastered the techniques of writing. You don’t think you’ll be able to capture all the literary elements in your work of fiction. Can we tell you something? Just write. Start where you are with what you already know. Learn along the way and implement it in your work. There are some writers who believe they have to know all the big words in the world before they can be great at writing. They are afraid because their vocabulary is limited. Do you know you can write an outstanding piece with the vocabulary you have already mastered, no matter how small? What is important is for you to connect with your audience. Of course, as you go you will expand your vocabulary but lack of it should not stop you from writing. We love writers who are real. Stephen King goes in with his advice in today’s quote. Writing isn’t about making money or getting famous. It is more than that. It’s an opportunity to transform the world with your words. It’s an opportunity for you to use your ‘pen’ to bring about societal change. Your goal as a writer should be to make history by enriching the lives of your readers. Last week we highlighted phrases we were tired of seeing. More phrases have joined that list but can you guess what they are? All for all and one for all. This means everyone should work for the team and not for themselves but isn’t there a better way to express this thought? There is absolutely nothing wrong with phrase but if you keep using it the inevitable will happen. This phrase will die. Let’s do the right thing by getting alternatives. All that glitters is not gold. This cliché means just because something looks attractive does not mean it is genuine or valuable. Simply put attractive things are not always as they seem. The only issue is that we are starting to hear it every time. Please get other options. What goes around comes around. It’s not every time you should sound so ‘profound.’ Why can’t you just say justice was served or you will reap what you sow? Sometimes you have to use the easiest ways to pass your message across. We have another exciting writer for you on today’s #WriterSpotlight series. If you have missed previous features endeavor to catch up. We hope you love today’s interview! I’m Arihilam Francis. I graduated with a Bachelor’s degree in Religions from the University of Benin Nigeria. I’m single and I help individuals grow their thoughts via writing and speaking. I’m a Thought Transformation Coach and Personal Development Expert. I live everyday to see potential maximized. I teach people how to lead productive lives. My focus is to help people (ages 17-35) to maximize their innate potential and I help them make the right relationship decisions. I do this via speaking, writing and consulting. Why did you choose to write or what led you to writing? Hmmmm. Writing is something I find expression in. When I write I have my reader on the other side in mind. I seek to reach them with my message, my desire to inspire others led me to finding expression in written words. What is your most challenging moment as a writer? When I started off as a writer my message was there but my methods had issues. I remember belonging to a writer’s forum where I sought to express my abilities, but I was told that my write up didn’t meet up. It really hurt but I decided to interpret it differently and to mean “get to work”. Can you tell us your most rewarding moment as a writer? Hmmmm. When I get feedback on the impact my message makes on the reader. It gives me a sense of fulfillment. People who I haven’t met in years send me pings saying “keep up the good work.” It gives me joy and inspires me to share more and stay put. I read, I think of how beautiful and peaceful earth can be if we accept love and responsibility. To my younger self, I will say this – You can be anything. Your only limitation is you because God has deposited in you the ability to create excellence. You might not look like it now but, with consistency hard work and obedience to divine principles, success is sure. Do you have a writing mentor?If yes why? Do you consider writing as work or pleasure and why? Writing is lucrative and pleasurable. It should come from a deep desire to share a message.The beauty of craving words and serving them is utopic. It is real work. Oh yes! It is. To improve, a writer needs to carve his/her niche and master the act of writing. Your best article or story so far? Any last words for upcoming writers? Are you are a writer, author or poet? If your answer is yes then you do not want to miss out on these opportunities from the Writivism Literary Initiative. Read on to find out more. This is a one-off award for emerging poets in Africa. The award was created by the Centre for African Cultural Excellence (CACE) in celebration of the 50th anniversary of the publication of Okot P’Bitek’s Song of Lawino. The prize aims to award poets who write originally in an African indigenous language and translate their own poetry to English to celebrate the process of self-translation and bi-linguality in African poetry. So if you have poems written in your local dialect, then go for it! If you are picked as the winner of this prize, you’ll get to go home with $500 and you will also have the option of attending a one-month writing residency at a soon to be announced African university. We think that’s awesome. Send in your entries as quickly as possible because the deadline for submission is Tuesday 31st May. Click here for more information about the prize and other important guidelines. 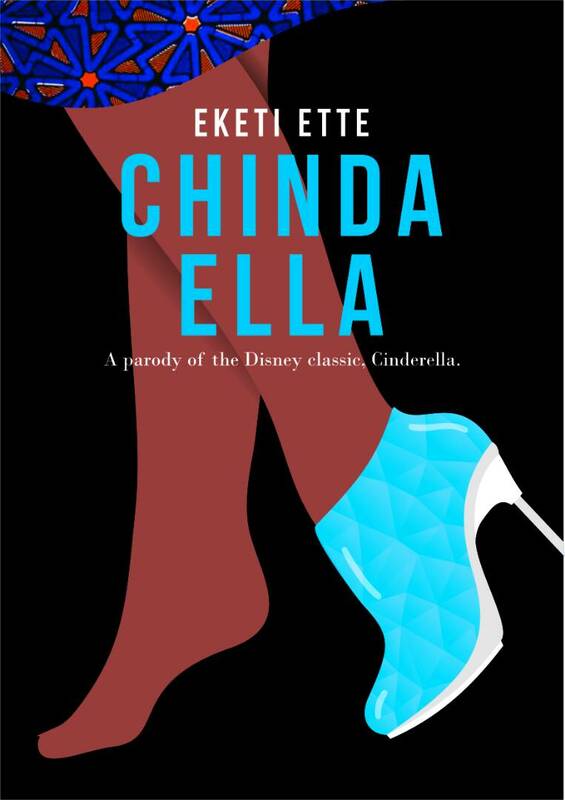 This prize is an annual award for non-fiction by emerging African writers resident in Ghana administered by the Center for African Cultural Excellence (CACE). The prize seeks to remedy the prominence gap of Ghanaian writers on the African scene. To be eligible, you must be an unpublished writer (meaning that you have not published any book) and you must be resident in Ghana. Entries must be submitted online, by sending an email to info@writivism.com with your piece as an attachment and not in the body of the email and clearly labeled in the subject: Koffi Addo Prize 2016. The deadline for receiving entries is Monday May 30, 2016 and the prize to be won is $500. Click here for more details about this prize. This award is for emerging writers and storytellers. The prize is aimed at celebrating storytelling through oral means and encouraging the recognition of the oral tradition as history. If you are interested in applying, what you need to do is to record a 5-8 minutes oral factual story as told to you by an older African woman who is unable to document her own story in English. This story could be told orally, and transcribed or written into a story. All entries must be submitted by midnight on Monday May 30, 2016 and the guidelines must be thoroughly followed. We wish you all the best Sparkle Writers. Don’t forget to get your entries in as quickly as possible of you are interested in any of these prizes. This criticism came in full force when I became the Assistant Editor of Y! Magazine. I now had to work directly with the Editor who I had heard a lot about. “She’s mean.” “She will finish everything you write.” “Nothing every impresses her.” I used to laugh it off and I thought my colleagues were being a bit dramatic. She couldn’t be that bad. I didn’t work directly with her so I didn’t know how true those comments were. In a short while, I was right in the line of fire. I’ll never forget the first set of articles that were sent to her edit. When she returned them, I nearly cried for the writers who wrote those words. “This is an unseasoned writer.” “This piece is watery, mediocre at best.” Those were some of the comments that were flashed in red as I opened the word document that contained her edits. “Yee,” that’s all I could think in my mind. Soon enough it was time for her to edit my work. I was called immature. I was told that I didn’t have enough depth and experience to understand certain matters. This came after I had done a review of a popular book that was released in 2013. Her comments were harsh. I tried not to take it to heart but it was hard. One of my colleagues noticed it and he said, “Doyin, you must learn how to sift the wheat from the shaft. Take what is valuable from her criticism and chuck the rest in the dustbin.” That’s exactly what I did. I’m glad I took that advice. With the way I was going, I would have resented her and missed out on various opportunities to improve myself. Buried under her harsh words were words of wisdom. I had to do away with sentiments to separate the two. I learnt how to write better reviews. I learnt how to write a water-tight story. I also learnt how to write in a way that people will be interested to read. The Editor taught me to critically analyse my work, to have my reader in mind every time I write and not to compromise my voice. When I became more confident, I noticed that she criticized my work less. I don’t know exactly why that happened. Maybe she realized her harsh words no longer got to me or she noticed that I had actually grown as a writer. I don’t know. At the end of the day however, I ended up being a much better writer and editor because her…after much tears, drama and heart pain. You will face criticism as a writer. Get ready. When you post an article on a blog or your work is featured on other sites, get ready to receive mean comments. Even authors who have written bestsellers get horrible reviews. It comes with the craft. Some people are just simply negative. Some are blunt while some mean well. Learn to differentiate these people. Take every criticism with a pinch of salt. If there is something for you to learn, learn it and move on. Don’t dwell on the negativity or the insults. Don’t be discouraged by it. Be resolved in your heart to be the best you can be. So I do agree with the quote by Sinclair Lewis. It is impossible to discourage real writers. Don’t let anyone discourage you from being the best you can be as a writer. We’re so excited about today’s Sparkle Interview because we are moving across Africa to the lovely Kampala, Uganda, where the 4th annual Writivism Festival is taking place. The festival is a 7-day event for all writers across the continent. Find out all you need to know about the event in our interview with the Writivism team. Hello. Can you please give us a brief insight into what Writivism Literary Initiative is all about? Writivism was started in 2012, holding the first festival in 2013 to promote contemporary African Literature, support emerging writers and we have been doing this through workshops, mentoring, prizes, publishing, school visits and the festival. This year, we have even added residencies for writers to our set of activities. We are all about contributing to the building of a literary and arts infrastructure that will make it possible for writers and readers to all play their roles much more easily and conveniently. So what is the Writivism Festival all about? The 4th Writivism Festival (scheduled for August 22 – 28, 2016) will exhibit to a Ugandan and African audience new books, in fiction, poetry, drama, photography and non fiction. 12 new titles will be launched and over 25 books will be featured in various ways. There will be readings, performances, panel discussions, a photography exhibition, a stage play, a film screening, school visits, various workshops, among other events around the theme: Restoring Connections. The festival is aimed at bringing to the fore pan African connections across language lines, generations, and art forms. What does Pan Africanism feel in the contemporary time? That will be the mood of the festival. The event is for everybody, really. Literature and art are for everyone to consume (a terrible word to use), to enjoy, to benefit from. We take care, in our programming to ensure that the event speaks with and to various generations, people of various backgrounds, Africans, people interested in African arts, the writers, publishers and other professionals in the industry as well as those who really just want to enjoy stories, whether in print format, or digital, or even in audio forms. We aim at including everyone in the conversations. And we are very careful about the generational and age differences, so we have events specifically for teenagers for example, and for children. And of course those for adults. With all you’ve said, why should people attend the event? d) the festival activities are actually free and open for all: among many other reasons like having a chance to attend launches of new books, have copies autographed, listen to authors speak, watch a play, a film, look at beautiful photographs, all compressed into one week. What is there not to like? What are the other attractions or highlights of the Writivism Festival? To make the week-long set of literary and arts events a worthwhile experience for everyone, the Writivism Team have prepared a residential package for attendees. The package includes decent accommodation (within walking distance of the festival venue), airport / bus stop pick-up and drop-off. Attendees will live in the same residences as the festival speakers and will have access to all festival events. Early bird bookings are available at USD $500 from May 23 until June 24, 2016. To reserve a spot, send an email to info@writivism.com or visit their website for more details. We have already told you what new word we are learning from today’s topic but can you guess what it means? Before we do, let us give a bit of background information. This word could also mean not likely to offend or provoke to strong emotion. Other words that are similar in meaning to innocuous are: harmless, innocent , insipid, mild, non toxic, safe. We hope you learnt something new! Welcome to another Grammar class. You’re probably wondering what mistake we are referring to in today’s headline. We’ll go straight to the point. It is very easy for us to make comparisons whether we are talking or writing. Look at this sentence carefully and see if you can identify anything wrong with it. My bag is stronger, bigger and cheaper. What is your bag stronger, bigger or cheaper than? What are you comparing your bag to? This is a grammatical error and it is called an incomplete comparison. When you are comparing something to another thing, make sure your readers know what you are comparing it to. My bag is stronger, bigger and cheaper than Sola’s bag. Consider it something that must be balanced. Don’t make you readers start imagining what it is you are referring to. Tell them.